8 car hacks you don't want to miss! We spend a lot of time in our cars. Check out these ingenious car hacks you can use today that will make life easier and make your car experience more enjoyable. This is an easy way to keep everything that you need neatly organised and within reach. 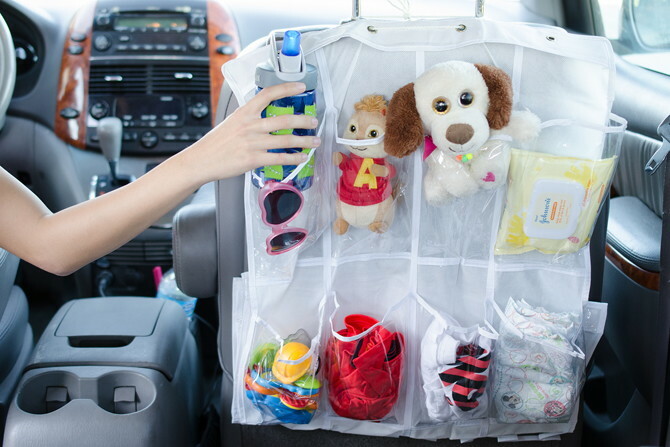 You can then put stuff away neatly like wet wipes, colouring supplies for the kids, and snacks. 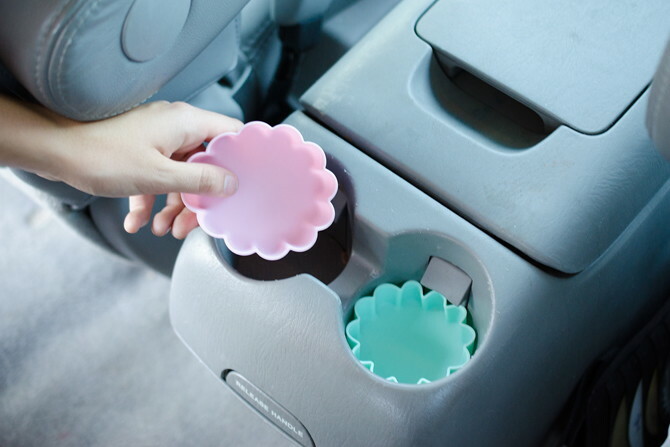 No more dirty, sticky cup holders! Taking some pizza home? Place your take-away on a seat with the seat warmer on – this way the food will stay warm until you get home. Big car, small garage? The problem with parking in a garage is you don't always know how far to drive in. 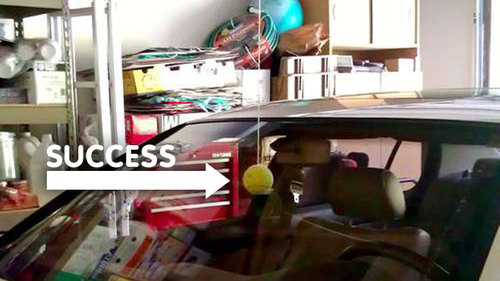 Solution: attach a tennis ball to some string and hang it from the garage ceiling at a point where it will touch your car's windshield. That point should be at the exact spot you want to pull in when parking. 5. Confused as to which side is the fuel tank is? Driving a new or unfamiliar car? 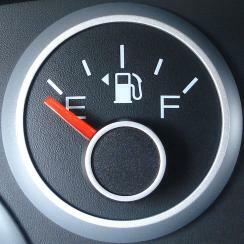 Look at the fuel gauge to figure it out: the little triangle will point to the side the fuel tank is. On a hot day, turn your steering wheel 180 degrees when you park so that the top isn't burning hot when you return. By doing so, the side you normally touch in the shade and the other side exposed to the sun. While part of your wheel will still be pretty hot when you touch it, you'll quickly revert the wheel back to its normal position and you'll no longer have to worry about burning your hands when you drive away! 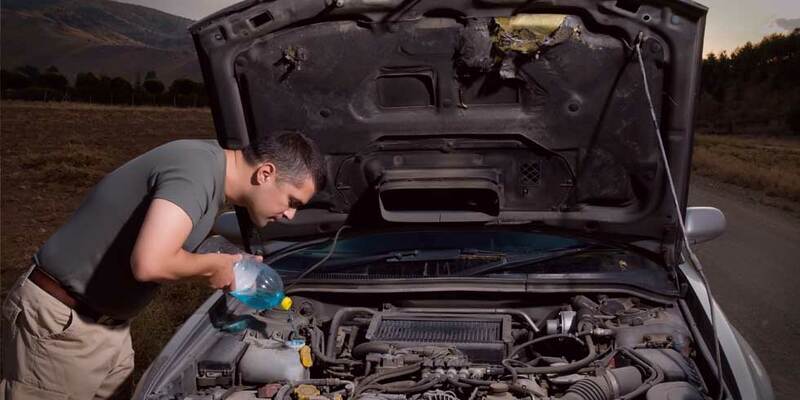 It is imperative that you top up your windscreen washer fluid on a regular basis. However, if you want the best results possible, make an effective windscreen washer fluid, by simply adding one part window cleaner to two parts water. Ensure that you mix it well before pouring it into the windscreen washer tank. Follow these tutorials.